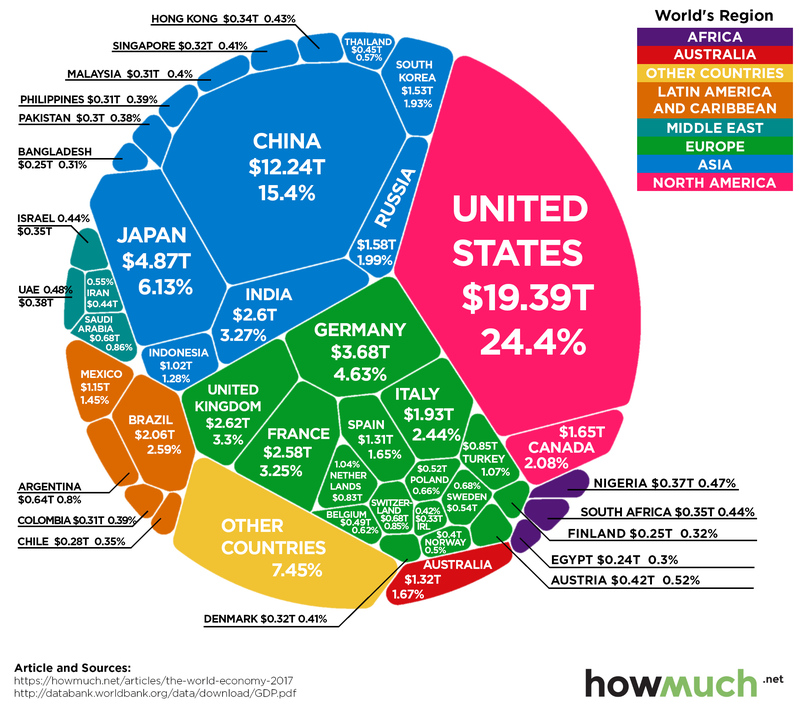 This chart from Howmuch.net uses data from the World Bank, released on 21st of September 2018, to visualize the entire global economy by GDP in 2017. Read the original article on Visual Capitalist. Get rich, visual content on business and investing for free at the Visual Capitalist website, or follow Visual Capitalist on Twitter, Facebook, or LinkedIn for the latest. Copyright © 2017. Follow Visual Capitalist on Twitter (Courtesy of Visual Capitalist).